A recent research study named Professor Corbett as one of the Top 25 Entrepreneurship Researcher in the World. This independent research article published in the Journal of Business Management noted that his work was among the most cited and impactful since the turn of the century. Professor Corbett’s primary areas of emphasis are corporate entrepreneurship, entrepreneurial learning and cognition, and entrepreneurship education. More specifically, his research examines behavioral aspects of the entrepreneurial process and the role of individuals within strategic renewal and innovations efforts within organizations. His research has appeared in scholarly outlets including Harvard Business Review; the Journal of Management Studies, the Journal of Business Venturing; Strategic Entrepreneurship Journal; Entrepreneurship: Theory & Practice; and many others. In 2017, Entrepreneurship (4th edition, Wiley), a textbook he co-authored with other senior Babson faculty was released. His latest scholarly book, Hybrid Ventures: Perspectives & Approaches to Blended Value Entrepreneurship (Emerald), was also published in late 2017. Professor Corbett is also the co-author of Beyond the Champion: Institutionalizing Innovation Innovation Through People (Stanford University Press) which examines how large organizations need to design roles and careers for their people in order to achieve optimal innovation performance. As an educator Professor Corbett primarily focuses on graduate courses but he has taught across the entire curriculum. In addition to teaching feasibility, business planning, and marketing for entrepreneurs, his extensive, practical experience finds him consulting and teaching to corporate clients across the globe. Professor Corbett has been recognized for his excellence in teaching on both the undergraduate and graduate level on numerous occasions. Nationally, he has also been awarded the McGraw-Hill Innovation in Entrepreneurship Pedagogy Award by the Academy of Management. He has also received the Dean’s Award for Teaching Excellence in executive education. 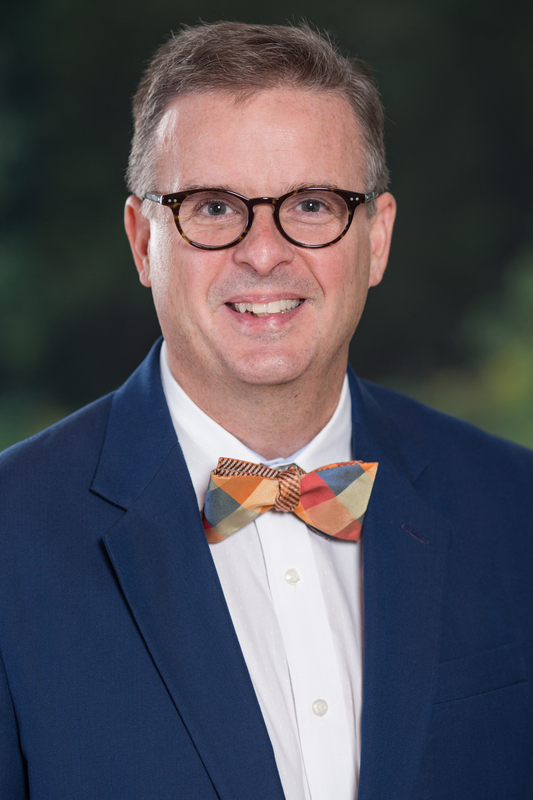 Professor Corbett serves the Babson community in numerous ways but most notably in Babson accelerator the Butler Launchpad, where he assists with strategic direction and the mentoring of young entrepreneurs. Within the larger academic community, he has led or been a member of over a dozen committees or task forces for the Entrepreneurship Division of the Academy of Management most recently serving as the co-chair of the Doctoral Consortium. He is also a Trustee of the Society for the Advancement of Management Studies. Before coming to Babson, Professor Corbett was MBA Director, Associate Professor, and Faculty Director of the Severino Center for Technological Entrepreneurship at the Lally School of Management & Technology at Rensselaer Polytechnic Institute. He has also taught at the University of Colorado and Bentley University. Prior to working in academia he spent over a decade in marketing, sales, and strategic management positions within the media and publishing industries. Drover, W., Wood, M.S., Corbett, A.C. (2018). Toward a Cognitive View of Signaling theory: Individual Attention and Signal Set Interpretation. Journal of Management Studies. Vol: 55, Issue: 2, Page: 209-231. Corbett, A.C. (2016). Social Entrepreneurship as a Norm?. Journal of Management Studies. Vol: 53, Issue: 4, Page: 608-609. Wiley. Corbett, A.C., Cornelissen, J., Delios, A., Harley, B. (2013). Strategizing and Operating Through Our Values: JMS at 50. Journal of Management Studies. Vol: 50, Issue: 8, Page: 1349–1357. Wiley-Blackwell Publishing Ltd..
Hmieleski, K.M., Corbett, A.C., Baron, R.A. (2013). Entrepreneurs’ Improvisational Behavior and Firm Performance: A Study of Dispositional and Environmental Moderators. Strategic Entrepreneurship Journal. Vol: 7, Issue: 2, Page: 138-150. Wiley. Corbett, A.C. (2009). Create Three Distinct Career Paths for Innovation. Harvard Business Review. Vol: 87, Issue: 12, Page: 78-80. Harvard Business Publishing. Corbett, A.C. (2008). The Contrasting Interaction Effects of Improvisational Behavior with Entrepreneurial Self-Efficacy on Performance and Satisfaction. Journal of Business Venturing. Vol: 23, Issue: 4, Page: 482-496. Elsevier B.V..
Corbett, A.C., Neck, H.M., DeTienne, D.M. (2007). How Corporate Entrepreneurs Learn from Fledgling Initiative: Entrepreneurial Cognition and the Development of a Termination Script. Entrepreneurship Theory and Practice. Vol: 31, Issue: 6, Page: 829-852. Corbett, A.C. (2007). Learning Asymmetries and the Discovery of Entrepreneurial Opportunities. . Journal of Business Venturing. Vol: 22, Issue: 1, Page: 97-118. Corbett, A.C., Hmieleski, K.M. (2007). The Conflicting Cognitions of Corporate Entrepreneurs. . Entrepreneurship Theory and Practice. Vol: 31, Issue: 1, Page: 103-121. Corbett, A.C., Hmieleski, K.M. (2006). Proclivity for improvisation as a predictor of entrepreneurial intentions. . Journal of Small Business Management. Vol: 44, Issue: 1, Page: 45-63. Corbett, A.C. (2005). Experiential learning within the process of opportunity identification and exploitation. Entrepreneurship Theory and Practice. Vol: 29, Issue: 4, Page: 473-491. Reed, T.S., Corbett, A.C., Heppard, K.A. (2004). I get by with a little help from my friends: Entrepreneurship in rock and roll networks. Vol: 17, Issue: 3, Page: 452-477. Katz, J.A., Corbett, A.C. (2018). Key Papers of the First Twenty Five Years of Advances in Entrepreneurship, Growth and Firm Emergence . Emerald Publishing . O'Connor, G.C., Corbett, A.C., Peters, L.S. (2018). Beyond the Champion: Institutionalizing Innovation through People. Page: 344 pages. Stanford University Press. Corbett, A.C., Katz, J.A. (2017). Hybrid Ventures. Emerald Publishing . Jerome, K.A., Corbett, A.C. (2016). Models of Start-up Thinking and Action. Emerald Publishing . Corbett, A.C., Katz, J.A., McKelvie, A. (2015). Entrepreneurial Growth: Individual, Firm, and Region. Emerald Publishing. Corbett, A.C., Katz, J., Siegel, D.S. (2014). Academic Entrepreneurship: Creating an Entrepreneurial Ecosystem : Advances in Entrepreneurship, Firm Emergence and Growth Series. Vol: 16. Emerald Group Publishing Limited. Corbett, A.C., Katz, J.A. (2013). Entrepreneurial Resourcefulness: Competing With Constraints. Vol: 15, Page: 300. Emerald Group Publishing Limited. Corbett, A.C., Katz, J.A. (2012). Entrepreneurial Action (Advances in Entrepreneurship, Firm Emergence and Growth). Vol: 14, Page: 326. Emerald Group Publishing Limited. Neumeyer, X., Corbett, A.C. (2017). Entrepreneurship Ecosystems: Weak Metaphor or Genuine Concept: Great Debates in Entrepreneurship . Page: 35-45. Emerald Publishing . Corbett, A.C. (2015). Thinking Big from the Start: Entrepreneurial Growth Cognitions: Handbook of Entrepreneurial Cognition. Page: 398-411. Edward Elgar Pub. Corbett, A.C. (2014). Positioning entrepreneurship research for general management journals: How to Get Published in the Best Entrepreneurship Journals: A Guide to Steer Your Academic Career. Page: 250-264. Edward Elgar Pub. Corbett, A.C. (2014). Exercises to practice creation: Self-understanding for opportunity creation: Teaching Entrepreneurship: A Practice-Based Approach. Page: 209-213. Edward Elgar Pub. Corbett, A.C. (2008). Experiential learning within the process of opportunity identification and exploitation: Entrepreneurial learning: conceptual frameworks and applications. Routlegde. Corbett, A.C. (2005). Strategic renewal and the entrepreneurial mind: The importance of cognition and learning: Innovating Strategy Process. Page: 186-198. Blackwell . Corbett, A.C. (2016). Ponzi Schemes and the Dark side of Entrepreneurship: Frontiers of Entrepreneurship Research. Babson College . Corbett, A.C., Zacharakis, A.L. (2010). Frontiers of Entrepreneurship Research: Proceedings of the 30th Annual Entrepreneurship Research Conference. Babson College. Corbett, A.C. (2008). Strategic Renewal in Family firms: Role of Successor’s Work Experience and Entrepreneurial Self-Efficacy: Academy of Management Annual Meeting Proceedings. Vol: 2008, Issue: 1, Page: 1-6. Academy of Management. Corbett, A.C. (2012). Cognitive Schemas and Scripts: Encyclopedia of New Venture Management. Page: 71-73. Sage Publications, Inc..